Yes, I know I just said I was taking a break, but it’s not quite November yet and I have a special guest here today: Crooked Cat author, Adam S. Leslie. Hello Adam and welcome to my blog. Since joining the Crooked Cat clan, I have been introduced to several genres I hadn’t read before. Your novels sound like a genre of their own – a mixture of several others. After reading the descriptions, I’m teetering on the brink, wondering if I dare to delve into them, hoping this interview will help me decide. Could you begin by telling us something about the books? Hi Miriam, and thank you! That’s a good way of putting it – I’m a bit of a restless soul, and I do like to mix the genres up over the course of a full-length novel. I see genres as being like cocktail ingredients: individually, they’re all quite familiar, but if you combine them in just the right quantities, you get a new and unique flavour. Kaleidoscope, on the surface, is a dystopian satire in the mould of 1984, Brave New World or THX-1138; but it also sometimes acts as a spoof of that genre, and it’s an adventure romp too, a surrealist nightmare and at times a pitch-black comedy. So it’s quite familiar on one hand, but takes the formula to brand new and hopefully unexpected places along the way. 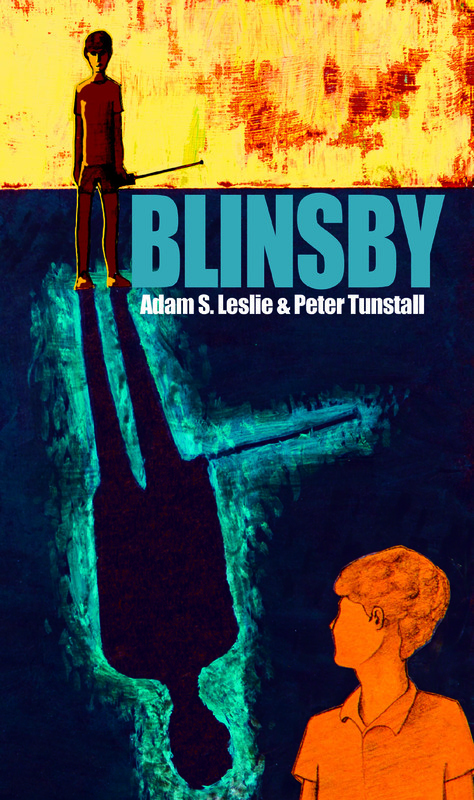 Blinsby, though, is a very personal book – quite different from Kaleidoscope, but I think is the more interesting of the two. I wrote Blinsby with a chap called Peter Tunstall, who I’ve known since we were about five years old. We grew up together in Lincolnshire, in one of the remotest parts of rural England. The book is a fictionalised account of our time at primary school as a pair of 10-year-olds during the mid-1980s, how it felt growing up at that time and how we saw the world. But, of course, it’s not as straightforward as that. There’s also a conspiracy thriller plot about the disappearance of a new boy in class – who might be good or might be evil – and the way the school authorities are potentially implicated. The whole thing has a sort of hallucinatory feel, but it’s also an adventure yarn on top of that, and there are hopefully a lot of laughs along the way too. That sounds like an unusual cocktail. Thriller, hallucinations, adventure and humour. I wonder how you combine all that. I suppose there’s only one way of finding out. I’m interested in hearing how you and Peter worked together. How did you divide up the writing? Were there any arguments? Are you still friends? Would you do it again? I think the fact that the story is told from a children’s eye view really helps bind the disparate elements together. That’s not to say that it’s all happening in their heads, or that what’s happening isn’t real; but we are very much in their world, and it’s as chaotic and colourful and undefined by adult rules as any 10-year-olds’. I often pitch it as ‘Calvin & Hobbes meets Catch-22 meets Gormenghast’. Like Calvin (or Scottish comic strip icon Oor Wullie, one of my heroes growing up), our characters think like children but articulate like adults, which helps put the reader on their level and identify more with them, than if they spoke like authentic children. We as adults don’t feel that disconnect, which we might if we spent time with a real class of pre-teens. The book is structured like a school day. Apart from the opening chapter (which takes place during the summer holidays), it begins with morning assembly and runs through each of the lessons and playtimes – a chapter for each – until hometime. We really wanted to make the reader feel like they’d spent a day back at primary school. So when Peter and I write together, we sort of treat each chapter as a short story in its own right. We spend hours and hours on the phone brainstorming the overall plot, and then go off and write whichever bit we feel like. And we do redraft each other’s material quite a lot too. Luckily, we have very a similar writing style, so it’s almost impossible to tell which bits are Peter’s, which bits are mine, and which bits we’ve both worked on! Yes, I’m afraid there were lots of arguments. Rarely about the big stuff, it was almost always silly little details – a particular wording, or a particular way a character was acting. Peter has quite an experimental ethos, whereas I’m more rigorous about the rules we’ve established for the Blinsby universe. Luckily, we always found a way to make it work in the end. We’d definitely do it again, and are planning to explore this world and these characters more in the future. I suppose if you managed to agree in the end, that’s the main thing. Do you still live in rural Lincolnshire? I ask with reference to writing about place. Some authors say they have to get away from a place in order to write about it. How do you feel about that? I moved away during the late 1980s, not long after the book is set; Peter lived there during the writing of Blinsby, but has since married and now lives in the USA. Exotic stuff! I can’t speak for Peter, but I certainly think having a certain nostalgia for the place helped me fictionalise it and turn it into something ‘other’, a sort of dream space where magic can happen. It’s tied to that period in my life; whereas for Peter, until very recently, it was a place he’s always lived. It would be interesting to get Peter’s take on that as well, then. I don’t think I’ve ever seen Peter interviewed, but I reckon it’d be a fascinating experience for all concerned. Can you tell me anything about your next book? I’m mainly concentrating on writing for film and television at the moment, but I would love to have the opportunity to explore the Blinsby characters and universe again sometime soon. I just read your very interesting interview with Fiona Mcvie, and was surprised when I read your reply to the question about making changes to Blinsby if you could: “Only a couple of typos we’ve noticed since publication, but other than that we’re exceedingly happy with it, which is a bit sickening.” To me, being so satisfied with something you did sounds fantastic. Why do you feel you have to make a sort of apology for it? Some of my awkward British modesty at play I think! Yes, perhaps I notice it more, living away from Britain. Coming back to the setting, why did you make it fictional? What were the advantages of doing that? Were there any disadvantages? It’s funny, we never really considered otherwise. We started writing the book 20 years ago, when we were around 19, and had previously written other adventure yarns based around ourselves and our environment. The sub-Tolkien stories we wrote as children, which I mention in Fiona’s interview, were a retelling of our own real-life adventures, but with added lopping off of orc heads and suchlike. And in those we renamed all the places and all the people. Peter was Vorogond and I was Culfindol, and our brothers were in there too. So we already had a bit of a history of our egomaniacal writing style! 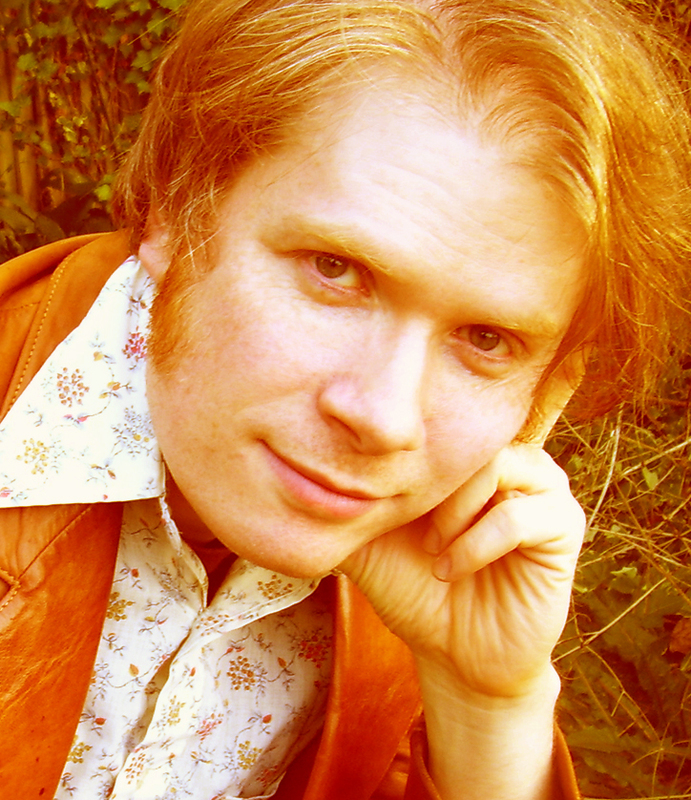 But I think fictionalising the setting of Blinsby has really helped cut our imaginations loose from the geography and feel of Caythorpe – that’s the starting point, but Caythorpe is not really Blinsby. Blinsby is its own unique place. And so we could make Blinsby as surreal or as different as we liked. Same with the characters. Writing for Erasmus and Frank, rather than Peter and Adam, gave us the freedom to diverge from ourselves wherever we needed to. They’re based on us, but they’re not really us. They both say and do some things which neither of us ever would, especially Erasmus I think. Erasmus goes on the biggest journey and has the biggest arc of any of the characters, by going through life-changing events Peter never had the chance to experience. When it comes to the supporting characters, we also wanted to be quite sensitive about not saying “this character is based on this person”. So we played with archetypes a lot; and even when real people may have acted as a starting point for some of the characters, everyone is very heavily fictionalised by the time they reach the page. I think this is why readers have responded with such familiarity and positivity to the characters – no matter what your school environment, or where or when you went to school, everyone knew these people. Everyone remembers an Anastasia Krum or a Posy Flatfist or a Benedict Hornbeam or a Luke Carpenter. Thank you so much for joining me on my blog, Adam, and for your thoughtful and comprehensive replies. I am now intrigued about Blinsby and looking forward to reading it. Thank you for having me, it’s been fun! Blinsby is available from Amazon, Crooked Cat Books and elsewhere.